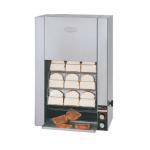 Toast is a popular breakfast item, and if your restaurant serves breakfast, you'll need to make sure you have a heavy duty commercial toaster that can meet the demand of numerous toast orders. 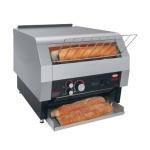 Even if you don't sell breakfast, but you offer sandwiches, toasting the bread is an important part of ensuring the sandwich is crisp and tasty, and you'll need a quality toaster for this job, as well. 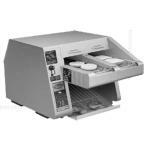 We provide a variety of different commercial toaster products that you may find useful for your restaurant, such as pop-up toasters, conveyor toasters, toaster oven broilers, spike toasters, and even toaster accessories. 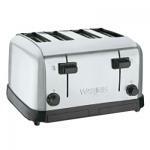 Browse our fine collection of pop up toasters. 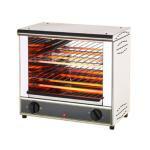 These traditional style toasters toast up to 6 slices of bread at once. Perfect for self serve breakfast buffets! Here you will find our pick of spike toasters. 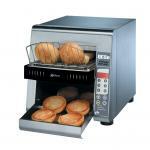 These toasters are designed to toast buns and rolls from the inside. 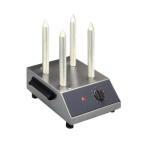 Perfect for hot dog buns or torpedo rolls! Here you will find a huge selection of replacement toaster parts, including bushings, bearings, gear drives, motor conveyors, relays knobs rollers and more!